On Thursday 4th August we released a new IMF Tune build. This update brings a few highly requested features and a fix. 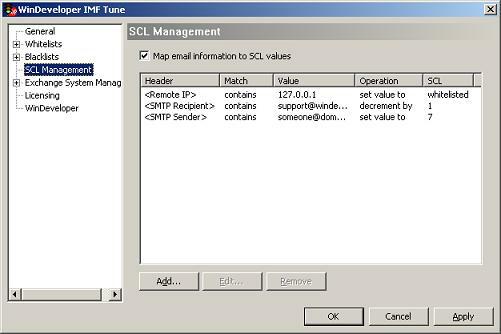 The new functionality extends SCL Management providing more flexibility when configuring Keyword to SCL mappings. 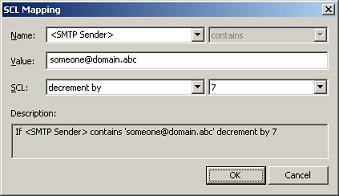 As from this build, rules can be configured to match SMTP protocol information. This includes the originating IP, SMTP MAIL FROM and SMTP RCPT TO addressing information. Before this update you could setup rules matching any of the email headers. Thus mappings against standard RFC2822 headers and custom 'X-' headers could easily be configured. Nevertheless one could not configure mappings against the originating IP and SMTP protocol command data. To make up for this limitation, users sometimes tried to match the From and To email headers. Still this data is not reliable and is very often spoofed by spammers. An important point to notice is that IMF Tune in its Whitelisting/Blacklisting configurations already supported SMTP MAIL FROM and SMTP RCPT TO. 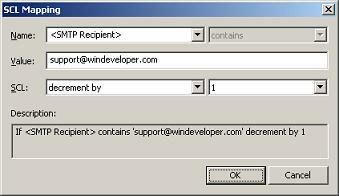 These are in fact used for matching Sender and Recipient addresses configured under these categories. Thus by adding support for this information at the SCL Management category we are providing more fine grained control on the final SCL assignment. Apart for these features the new build also includes a fix. A problem was identified that could block the configuration from saving changes. The problem concerned saving of settings for the Whitelisting, Blacklisting and SCL Management categories. With this fix configuration changes will be saved as expected. 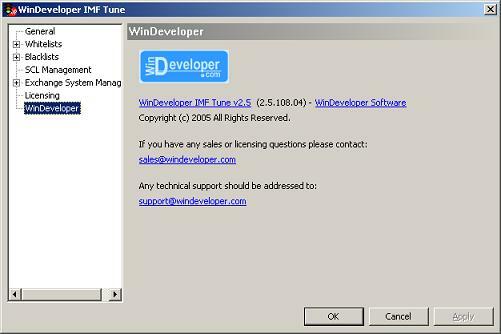 To check if you already have the latest build, open the IMF Tune configuration and select the WinDeveloper category. 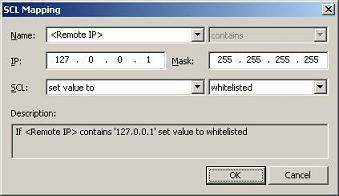 The latest build is identifiable through the build number 2.5.108.04. If your build matches this ID there is no need to update.